It’s Easter – and it’s snowing! What is going on? The rowers, cyclists, Stokey mummies and local wildlife were all out, making the most of a bit of morning sunshine. 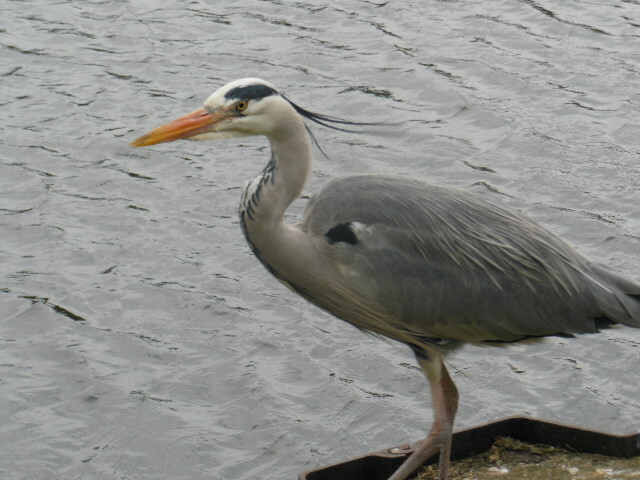 We worked our way along the river to the Lea Valley ice centre, then cut up through the park to Clapton Pond. 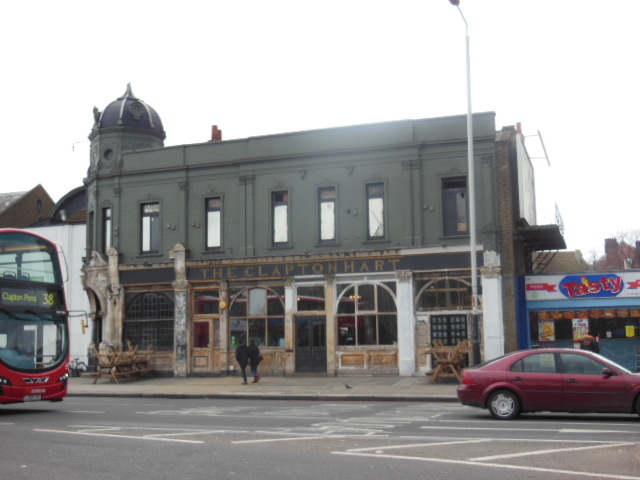 It was now definitely time for lunch at the Clapton Hart – we were freezing. 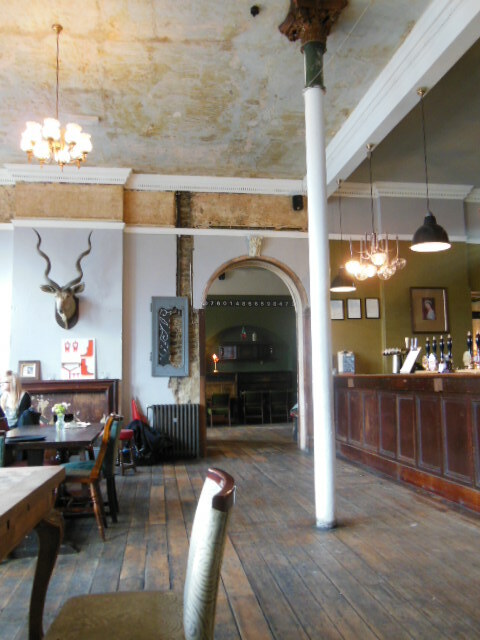 This gastropub, from the same chain as The Chequers E17, has an accessible and well-priced menu. We’ve been for an enjoyable Sunday roast before so were looking forward to the our lunch today. We settled down with a bottle of house red wine at less than £14 amongst the junk shop, eclectic furnishings and watched the snow begin to fall outside. Starters included an appealing artichoke and herb hummus or a pint of whitebait and tartare but we decided to skip straight to mains. The cheese burger and chips was great – big, chunky hand cut chips and one of the best burgers I’ve had in a long time. However the promised ‘pickles’ were two mean slices of pickled cucumber. The other Walthamstowfoodie was in a hungry but indecisive mood, swinging between sausage and mash, shepherds pie or fish and chips. The beer battered coley won but was a bit of a let down – undercooked mushy peas and overcooked fish, but we were too hungry to do anything more than grumble. Good service should have picked up on a half eaten plate heading back to the kitchen. Not their finest hour, but overall the verdict is positive and I know we’ll go back as their Sunday lunch, wine list, beer selection and location is great. 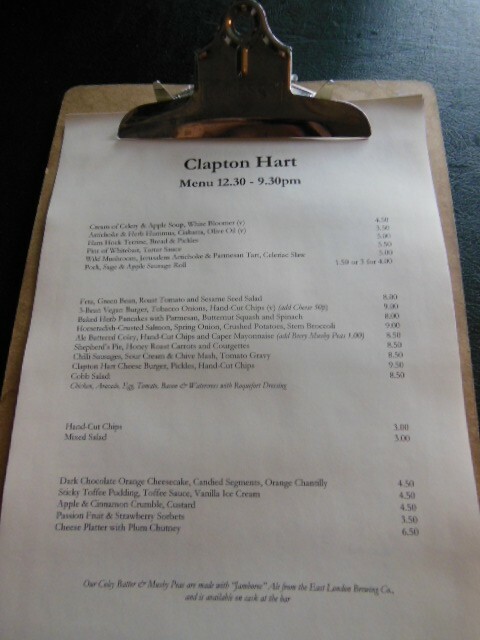 This entry was posted in Restaurants beyond E17 and tagged Clapton Hart, Clapton Pond, Easter, Lea Valley, Lower Clapton, Sunday, Sunday roast, Walthamstow Marshes. Bookmark the permalink.